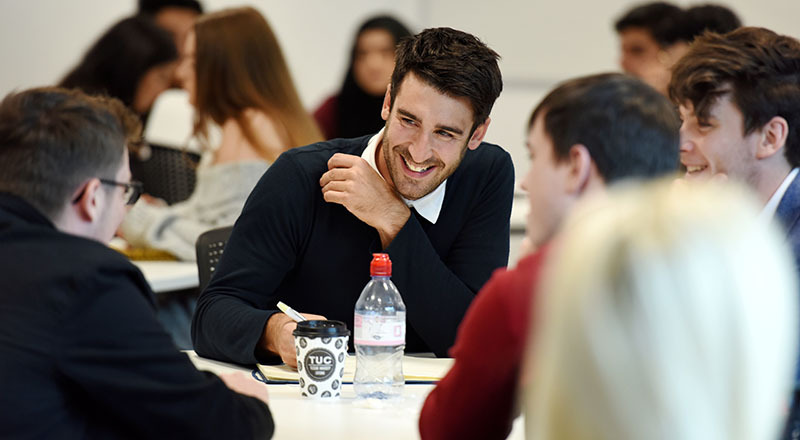 Business students at Teesside University are working alongside key figures in the private and public sector to develop solutions to real world community problems. As part of their final year module, the students from Teesside University Business School took part in a two day Strategic Management and Responsible Leadership conference exploring the role of business in society. Following the conference, the students split up into groups and will spend the next few weeks looking at different ways in which business can help solve community and societal challenges. The conference was opened by Kevin Parkes, the Executive Director of Growth and Place at Middlesbrough Council, who talked about the different challenges faced by the local authority. Other speakers included Dot Turton, the chief executive of substance abuse charity Recovery Connections, Katherine Hierons, the town clerk of Spennymoor Town Council and Terri-Ann Rigg, the store manager at the Middlesbrough branch of Marks and Spencers. The groups of students were tasked with identifying a problem faced by the community and developing a solution which involved the business community. Noel Dennis, Principal Lecturer in the Business School, said: 'This is an example of the experiential learning our students receive as part of their Teesside University based business education. We want students to experience what it’s like working in the real-world and working alongside different partners from the private, public and third sectors. 'We want students to experience what it’s like working in the real-world and working alongside different partners from the private, public and third sectors. 'It’s also part of our commitment to developing the next generation of business leaders who take the principles of ethical business leadership seriously. 'This is one of the last modules that the students undertake before graduation so it’s the culmination of a lot of hard-work. Dr Gill Owens, Head of Department, added: 'It is essential that students leave the Business School employee ready with the confidence to hit the ground running in their new roles within the workplace.